So, in a sense, the Mahdi is their messiah. He comes to save the day, to usher in a worldwide Islamic revolution, where every person on earth will either convert to Islam or lose their head, literally. If that isn’t enough, they believe that Jesus will come with him and assist the Mahdi in this whole process. Muslims believe that Isa (Jesus) will tell all the Christians and Jews how wrong they were, and how there is no god but Allah. The Mahdi is Antichrist. Isa is the False Prophet, and the true Messiah (Jesus) will be thought of by the Muslims to be the dajjal. After more studying of Islamic eschatology, it appears blatant and obvious that much of Islamic eschatology was taken directly from the pages of the Bible, and then changes were made to make it fit the Islamic worldview and religious doctrine. What I mean by that is the writers of the Hadith looked at what the Bible said about the end times and changed certain details to make Islam appear to be victorious in the end. Let’s not forget that Islam was not even thought of until 500-plus years after the death of Messiah. Now let’s take a look at the actual Muslim Antichrist thesis that has become so prevalent as of recent. Please note: It is not my intention to give an exhaustive study on this theory. I am only presenting the basics of the Muslim Antichrist thesis and then highlighting my own disagreements with it. The first basic segment of the Muslim Antichrist theory I will outline is the similarities that exist between the Muslim Mahdi and the Christian Antichrist. When I first started studying the Muslim Antichrist theory, I must admit that I found these similarities to be striking. The Muslims believe in a coming figure (the Mahdi) that will sign a 7-year treaty. He will rule from Jerusalem and the temple. He will demand to be worshiped, and anyone that will not worship him as god, will be beheaded. I’d like to note here—the willingness of Muslims to cut people’s heads off is one of the more compelling parts of the Muslim Antichrist theory. When I first contemplated this theory, I thought to myself: Do you know any Roman Catholics that would cut someone’s head off. NO! Far from it. Most of the Catholics I know are very kind and giving people. But the Muslims are on TV nearly every night cutting the heads off of people that they call infidels. Make no mistake about it. This really helps in selling the Muslim Antichrist theory. The similarities that exist between the Mahdi and Antichrist are so profound that most modern readers are bound to feel a personal connection to this part of the theory. Thus, due to the almost universal human condition to want to feel that you are a part of something bigger, the modern reader can feel themselves pulled into being a part of the Bible. They are witness to the end happening right before their very eyes. And that is a POWERFUL draw, to say the least. Are we to believe that this false religion born out of demonic revelation has the power to prophesy distant future events? This would equate to demons having the ability to call their shot for the “end times”, Babe Ruth style. I just don’t buy that. Demons can do little more than tempt, lie, and deceive. Period. Again I would point out my view that most of Islamic eschatology was taken right from the pages of the Bible with small changes made to ‘fit’ what the adherents of Islam *want* to be true, just as they did with the story of Abraham courageously offering Isaac as a sacrifice. In the Muslim account of this story, it is the father of the Arabs, Ishmael, that Abraham offers as a sacrifice. 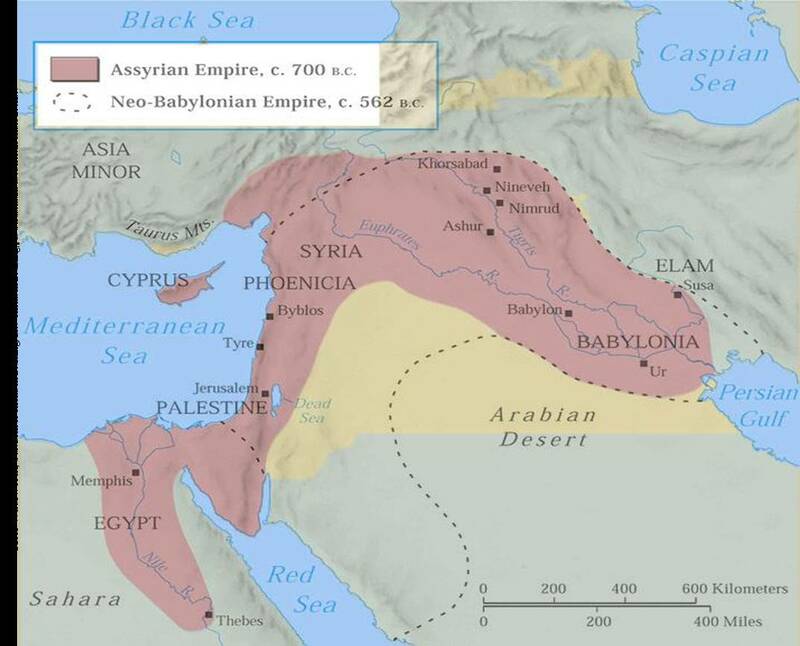 They also cleverly tie this “Assyrian” belief into the bloodline of the “people of the Prince that is to come”, and they point out that the bloodline of the legion under General Titus that actually plundered the temple were from modern-day Turkey and Syria. So, they assert, the bloodline isn’t a Roman bloodline. It is a Turkish or Syrian bloodline. Therefore, the prophets of the Old Testament refer to Antichrist as “The Assyrian”. We’ve already covered my thoughts on the bloodlines theory, so let’s move right into this Assyrian name that is primarily used in the books of Micah and Isaiah. Isaiah 10 is the chapter right after the verses made famous in the book “The Harbinger” by Jonathan Cahn. In the famous verse 10 of chapter 9 the leaders of the Northern Kingdom arrogantly boast that the bricks had fallen (at the hand of the Assyrians), but the kingdom would rebuild stronger structures made from hewn or cut stone (I am paraphrasing here, Is. 9:10). In the balance of chapter 9 and the first part of chapter 10 God speaks through Isaiah to all of Israel. God appears to be making sure that all of Israel understands that it was God himself that used the Assyrians to raid the northern kingdom due to their false worship, sin, and arrogance. In verse 5 God declares through Isaiah that the Assyrian was merely a tool that he used to serve His purposes. The whole premise of the Harbinger book was that the Isaiah 9:10 verse was realized in the aftermath of 9/11. I have read all about the Harbingers of 9/11 and have encouraged others to do so. In my opinion, the book rightly points out a modern-day fulfillment of duality in scripture. It seems clear to me that God once again used the Assyrians to warn an arrogant and sinful nation, that they should repent. It is truly a fascinating study. But that is not what we are looking at here. The proponents of the Muslim theory assert that Isaiah 10 points to the time period just before the return of Jesus, and that the “Assyrian” represents the Antichrist figure that we are studying. And here is the key—the Muslim Antichrist theorists also assert that Isaiah 10 reveals that Messiah Himself defeats this ‘Assyrian’ character. While it may very well be true that Isaiah 10 does point to the ‘end times’, and it may also be true that the ‘Assyrian’ is a representation of Antichrist, I personally don’t see it that way. But let’s assume for a moment that Isaiah 10 is about the end times, and the Assyrian does represent the Antichrist. Does this necessarily mean Antichrist is a Muslim? After a careful reading of Isaiah, I just don’t see it. I would encourage the reader to study the 9th and 10th chapters of Isaiah for themselves and formulate your own conclusion. What does Micah 5 tell us? As to Micah 5, this appears to point to the millennial reign of Christ in my opinion. Could it be about the “end times” just before the return of Messiah? I suppose it could. While researching for this presentation, a wise elder suggested I read Micah 4 and 5 together as one prophecy. He pointed out that the chapter break is man-made and is likely not very well-placed. When one reads the two chapters together, it really appears to be pointing to the millennium, and the battle with the “Assyrian” is the final battle that comes just before the White Throne Judgment. That, of course, is my opinion. Again I would encourage the reader to study these scriptures for themselves. As you can see below, there are a few other scriptures used by those that ascribe to the Muslim theory. They claim these names also point to the Antichrist, and that these names also point to modern-day Muslim-controlled lands. Most of these don’t carry much weight to me, and some appear to point to Satan more than Antichrist. The final and, in my opinion, most compelling part of the Muslim Antichrist theory that we will examine revolves around the nations that Messiah is at war with upon His second coming. The proponents of the Muslim Antichrist thesis point out that all of the lands or nations that Messiah wars with upon His second coming are currently Muslim nations. Based on these assertions, they suggest that Messiah must be at war with the Muslims upon His second coming, thus, the Antichrist must be a Muslim. Cushan or Cush is the region south of Egypt, modern-day Sudan and a Muslim country. Cushan has also been identified with the land in and around Babylon—also, Muslim. Midian is, of course, Arabia, which is modern-day Saudi Arabia. It gets no more Muslim that modern-day Saudi Arabia. Not only is Lebanon a Muslim country, it is a terrorist stronghold since it is the home of Hezbollah. Again we are back in Isaiah 10 here, and I just don’t see this as ‘end times’ or about Antichrist. But they cite it, so we must examine them. I LOVE IT when God talks trash. NO human can step to Him and He knows it. Awesome! Tyre and Sidon are Lebanon and Hezbollah, Philistia is Gaza, the home of Hamas. Muslim terrorists to be sure. Here we see the use of Edom which, according to current biblical maps, is in and around modern-day Jordan and Saudi Arabia (south of Moab and Beersheba). In Ezekiel 25, Edom is described as “from Teman to Dedan”. That is Arabia. However, we know that Edom is a reference to Esau. And that is really what this is all about, isn’t it? Jacob, Esau, and their great uncle/step/half cousin/whatever Ishmael, all fighting for the birthright and the blessings. Suffice to say, I don’t think Rome has a part in the epic battle for the birthright, but that is just my opinion. Let’s move on to Psalm 83 where a confederation of nations is described. Psalm 83 is used as a smoking gun-type proof text for the Muslim Antichrist theory. Damascus is the capital of Syria, another hotbed for terrorism, and the home of ISIS. As I stated earlier, the wars of Messiah are the strongest part of the Muslim theory in my opinion. Thus, it deserves a thoughtful and thorough refutation. The first thing that I would point out is this: Just because Messiah is at war with Muslim nations, does not necessarily mean that Antichrist is a Muslim. Now, I am not trying to use this statement as proof that Antichrist is not a Muslim. I am just stating that one thing does not necessitate the other. As another part of my refutation, I would also offer a few scriptures of my own, where Antichrist is “at war” with some of the very same “Muslim” nations. Now, there is no doubt in my mind that these scriptures are referring to the Antichrist figure that we are discussing in this presentation. The text describes many nations falling, but Edom, Moab, and the best part of Ammon will “escape”. Now, to escape, one has to have been attacked or flat-out controlled, and then finally “escaping” this attack or control, whatever the case may be. Daniel 11 then goes on to describe Antichrist as “controlling” the treasures of gold and silver of the Egyptians, Libyans, and Ethiopians after he CONQUERS them and makes them his servants. If Antichrist is a Muslim, and is considered to be the Mahdi, this figure that all Muslims pray for and will worship and love. Then why would Antichrist be fighting and conquering Muslim nations and peoples? This doesn’t seem to mesh or tie together very well. When I present my current working theory in a later installment, we will revisit Daniel 11 a lot, and I will lay out why Antichrist is fighting against Muslim nations in a way that I think fits together very well. More on that in future blog posts. Finally, the last part of my refuting of this section of the Muslim Antichrist theory, I would suggest that Psalm 83—the supposed “smoking gun” scriptures for the theory—is not even prophetic, or an actual battle…at all. Psalm 83 is a prayer of Asaph that describes many of Israel’s closest neighbors plotting against her. Asaph is praying to God asking Him to destroy the nations that are conspiring against Israel. In my opinion, that’s it. These phrases simply show the nations in question as making alliances and plans; nothing in the text suggests them doing anything more than that. The whole point of Asaph’s prayer is to ask God to prevent these nations from going any further than the planning of an attack. There is simply no war to be found here in these scriptures. Also, none of the language in Psalm 83 suggests the psalm to be prophetic in any way. In other prophecies of future wars or judgments upon nations, the prophet often declares that he is speaking a prophecy by saying something along the lines of: “The Lord said that in the latter years such and such will happen,” or, “At the time of the end, so and so will attack so and so.” You don’t find any of this terminology in Psalm 83. Simply put. Psalm 83 is not a war, and it is not prophecy. In my opinion. OK. I will stop here for today. Like I said, this is not an exhaustive study. It is just the basics. If the reader would like to learn more about the Muslim Antichrist thesis, there is no shortage of information out there. I will conclude this part of the study by saying: The Muslim Antichrist theory is just too easy in my opinion. If a Mahdi figure were to come onto the scene, every person that has ever heard of the book of Revelation and the Antichrist would immediately assume the Mahdi to be the prophesied Antichrist. Well, I guess some may be so stuck on the Antichrist being Roman, that a Muslim Antichrist could come onto the scene and they would never know it. To me, this Muslim Antichrist theory is just more deception. Satan really has the modern Christian involved in a game of Three-Card Monte. This is just one of the dummy cards. It isn’t the queen we are looking for. 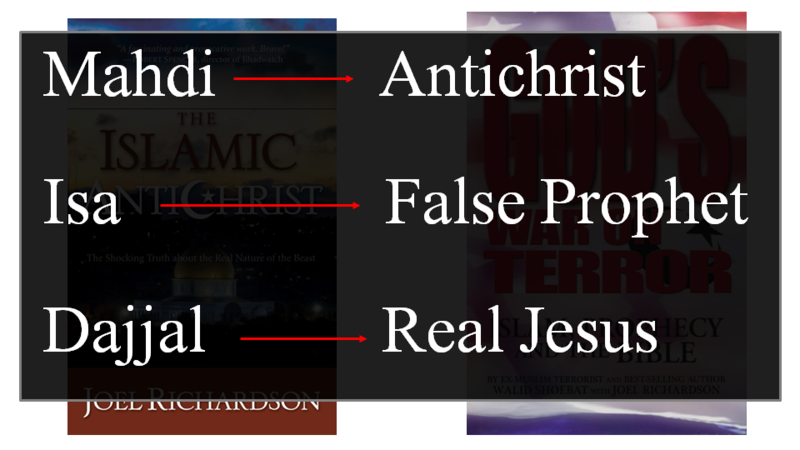 The many parts in identifying Antichrist should fit together seamlessly. The whole Bible should come together with one voice, and point in one direction. The Muslim Antichrist theory simply doesn’t fit this description in my opinion. In my next post, I will start to lay out my current theory. You, the reader, can decide for yourselves whether or not this new theory does in fact ‘fit together’. Have you considered how closely Isaiah 9:8-10:4 parallels Leviticus 26. The four sets of seven. Isaiah 9:8-12; 13-17; 18-21; 10:1-4 shows the continuing increase in curses that occur as a sinful people refuse to return to God. The original breach of the wall in Isaiah 9:10 does not bring the fall of the nation until 20 + years later; the incredible Harbinger sign in America maybe has a similar timeline. Nonetheless, the process of failing to return to God and do Teshuvah, and the continued decline of societies built on Christian values and laws falling into apostasy is self evident. God uses a pagan system to bring Judgement, for Israel it was the Assyrians. What is so intriguing about Islam is its theology, and how it fits in so many ways prophetically. Have you considered the Dome of the Rock, and the thinking that it is built over the Holy of Holies. Can you think of a better symbol of the abomination that causes desolation. The inscriptions on its walls of how singular God is, and how wrong it is that he should have a son. The Return of Israel is very important prophetically.